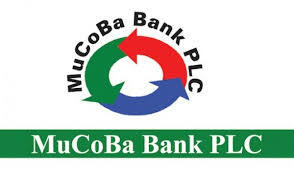 MUCOBA BANK PLC formerly Mufindi Community Bank Ltd, the 'first Community Bank in Tanzania invites applications from qualified Tanzanians to fill in the following vacancies. The Bank invites applications from suitably qualified Tanzania of high personal integrity to apply for appointment as a Non- Executive Directors of the Board (2positions) to represent the share holders. The bank is in need of an experienced banker and an experienced lawyer. A Board Director must be an individual who has demonstrated significant achievements in business, education, the profession and/or public service. He/ She must have the requisite intelligence, education and experience to make significant contribution for the deliberations of the Board of Directors. In addition the Board Director is expected to bring a broad range of experiences to the Board. i. To determine the Bank's vision, mission and values. ii. To formulate, monitor and evaluate bank's policies and strategies. iii. To review on a regular basis the adequacy and integrity of the Bank's internal control, financial reporting, risk management and management information systems including compliance with applicable laws, regulations, rules and guidelines. iv. To appoint and regularly review and evaluate the performance of the Senior Management of the bank. vi. To regularly attend and effectively participate in Board Committee and other important meetings. viii. To perform any other duties stipulated under the law. Highest moral and ethical character. He or She must exhibit independence, objectivity and be capable of serving as a representative of the shareholders. Personal qualities sufficient to make substantial active contributions to Board deliberations, these include self-assuredness, a high ethical standard, inter-personal skills and commitment. A member of a National assembly or House of Representative or Local Authority is not eligible. He /she must not have any criminal record or history of bankruptcy. The deadline for submission of applications is 18th August, 2017. Only shortlisted candidates will be contacted. Candidates will meet their own travel and accommodation costs for the interviews.